Just as the long awaited family outing is about to exit the front door, all havoc suddenly breaks loose! #1 is throwing a tantrum, #2 is taking off his clothes that you just put him in, #3 just threw up all over that jumpy thing your wife said would not make them sick, and #4, well #4 is nowhere to be found! Where do you go from here? The first element of an effective parenting plan is a sense of humor. 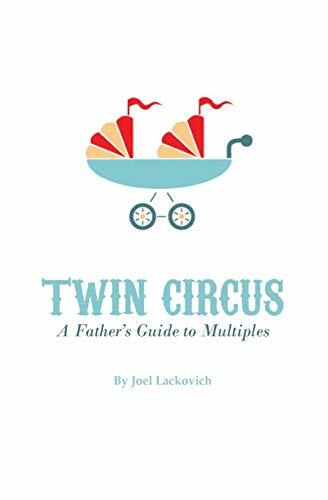 In Twin Circus, A Father’s Guide to Multiples, Lackovich rewrites the parenting playbook by humorously tackling everyday challenges in the life of a parent with multiples. With patience, organization, and time-management – oh yeah, and a sense of humor - even the most explosive diaper change can be handled with finesse. Twin Circus is a book written with the ink of experience and answers those earth rattling questions: can I double park “The Double-Wide “, and can I survive a trip to “The Happiest Place on Earth”? In addition to teaching the duties of the Ring Master in the Twin Circus, Lackovich teaches the art of accumulating “spousal currency”. That’s the legal tender necessary for negotiating personal time with your spouse for that football game coming on at noon, a simple round of golf on your birthday, or a Happy Hour with your buddies. Whether you have multiple children or not, Twin Circus, A Father’s Guide to Multiples, will tickle your funny bone and leave you wanting more. It’s a ticket to the Greatest Show on Earth!